Like most of my paintings, this one started off in another direction. I tend to go where my artistic Muse takes me, so planning is the first thing out the window. I started playing around on the canvas and eventually ended up with this. The scene in the painting is ostensibly a forest under the night sky, in abstract form, of course. I named it ‘Aurora’ because it reminded me of a bucket list item, seeing the Aurora Borealis. A variety of techniques went into the creation of the artwork. I assume they have proper names in the art world, but I used a combination of wet canvas / color bleed, spatter (as the result of playing air-drummer while my favorite music was on), and using black gesso to fill in the branches. Overall, I’m going with a win for the rescue of the painting. 18×24, acrylic on canvas, April 30, 2017. 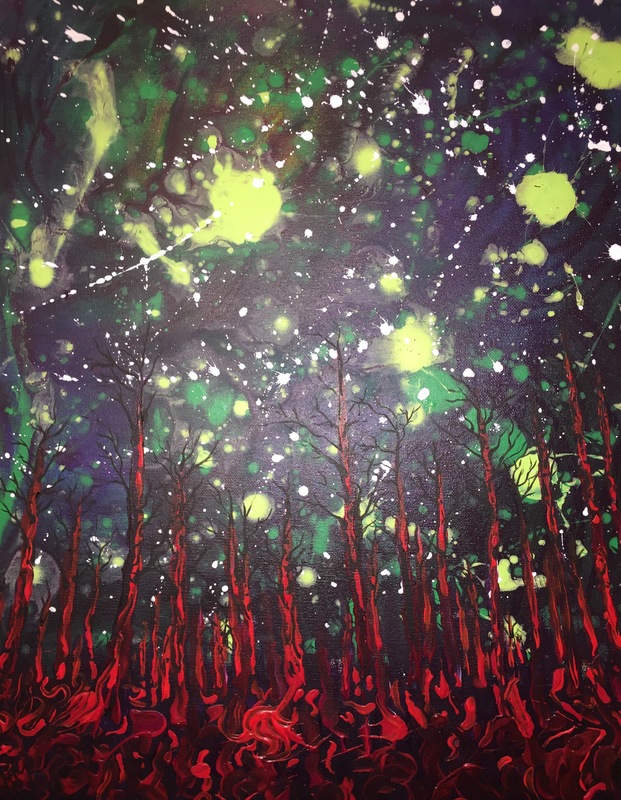 This entry was posted in abstract art, Art, art collecting, local art, painting, Space and tagged abstract, art, artist, aurora, canvas, dark, fine, forest, landscape, local, nature, nebula, night, painting, sky, Space, stars. Bookmark the permalink.